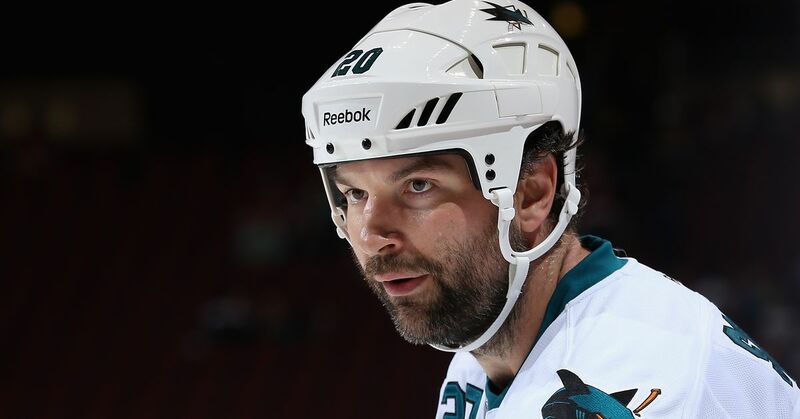 The San Jose Sharks made a change at captain during the offseason, as they took the "C" away from five-year captain Patrick Marleau and gave it to second-year Sharks defenseman and 40-year-old Rob Blake. When the announcement was made, you didn't hear any Sharks fans complaining, although many would have preferred the captaincy either to stay with Marleau or be given to defenseman Dan Boyle. But now that we are past the half-way point in the season, the Sharks coaching staff, and the captain himself, ought to look to pass off the captaincy to a more deserving candidate. Now, certainly nobody can argue the experience and wisdom that Rob Blake brings to the Sharks locker room, but so far in the 2009-10 season he has been playing below expectations. Despite registering an impressive 45 points last year and a plus-15 rating, Blake has simply not been the same player this season. Perhaps the Sharks captain is still recovering from an injury that caused him to miss a stretch of 11 games earlier in the year, but he has not been producing at his normal levels all season. Blake has just two goals and nine assists in 32 games—a pace that would have him finishing the season at just 28 points if he were able to play a full 82 game season. Considering that his bomb of a point shot is one of the few on-ice assets he can bring to the team, it is certainly troubling that Blake hasn't been able to register more points. 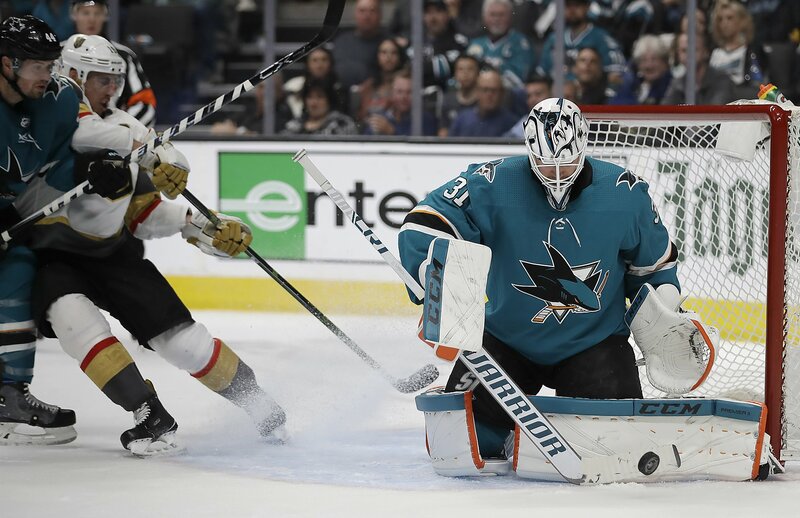 The low point totals and lack of offensive jump becomes quite the problem for the Sharks since Blake's defensive play has been much worse this year. Blake has taken 13 minor penalties in just 32 games, compared to Boyle who has taken just one more minor playing 11 more games. Murray has committed one fewer penalty than Blake playing in 11 more contests as well. Case in point, Blake took an incredibly unnecessary interference penalty in Phoenix a few games back where he randomly grabbed a Coyote forward in front of the net and threw him down. The puck was loose behind the net and Blake had a chance to be the first one to it, but instead took a terrible penalty that served almost no benefit. Unfortunately, it is not just the poor penalties in the defensive zone, but he has also been taking penalties on the rush. Quite often Blake has been seen waiting too long to turn and chase the puck, instead interfering with the oncoming forward's lane to the puck. In hockey, your allowed a certain amount of contact within a two second time frame, but a defenseman going out of his way to block the forward's path is textbook interference. More often thant not, if the defending player is moving his feet he will get away with more contact that could be deemed as interference. But Blake has had tremendous trouble keeping up with the young talented forwards in today's NHL because he just flat out doesn't have the speed to keep up. Knowing this, it would seem critical for him to get on his horse as soon as possible to be the first to loose pucks. Yet, he still seems to delay and either let the opponent reach the puck first or when he finally gets to the puck he's under pressure almost instantly. And even when Blake has gotten control of the puck lately, his vision seems to be declining as he has been more prone to turnovers. Two games ago, in particular, he had a terrible giveaway against Los Angeles right after he skated out from behind his own net. His pass went right to a Kings forward who fired it past Thomas Greiss for a 6-0 LA lead. This coming just 12 seconds into the period no less. The poor all-around play from the captain simply cannot continue. Players in the locker room look to the guy wearing the "C" to lead by example, and Blake is not fitting this role. His experience makes him a possible head coach in the future, but without the quality on ice play, his being captain doesn't bode well moving towards the playoffs. When you look at the history of Stanley Cup-winning captains, every one of them is a top-tier player who is counted on for making plays that change the momentum of the game. Sidney Crosby, Nicklas Lidstrom, Scott Niedermayer, and Rod Brind'amour (the last four Cup-winning captains) in particular have played a large role—if not the largest role on the team. Blake, at this point in his career, is certainly nowhere near the caliber of a Niedermayer or Lidstrom. These two veteran players are nearly just as old as Blake but are continuing to play at an elite level. For the sake of the Sharks postseason hopes, the coaching staff and Blake should be willing to hand the "C" over to Boyle, who is a pure difference maker as well as an experienced team leader. This would allow the Sharks to rest Blake down the stretch and allow more playing time for defensemen like Jason Demers, Jay Leach and Derek Joslin who all need to be fresh if needed come playoff time. Resting Blake would be extremely beneficial because anything he may have left should be geared towards the playoffs. Blake is still an important part of this team and the Sharks are going to need his offensive abilities to return in the postseason, as San Jose doesn't get much offense from other defensemen. But as for now, it might be more beneficial for Blake to give up his captaincy. Of course, forcefully taking the "C" away would probably be a poor move to make, since it could quite easily create tension in the locker room. However, what needs to happen is for Blake to look at his own game, and realize that he hasn't been worthy of being the team's leader and that it would be beneficial to the club to move in another direction. If he were to make this decision, it would only improve the Sharks' chances at winning that elusive Stanley Cup and Blake could retire on top with his second Stanley Cup ring.